In a blog post yesterday we announced Drive for Education, which allows you to work without limits. Free to any school using Google Apps for Education, this upgrade will give you free, unlimited storage in Drive, and, later in the year, free archiving and e-discovery with Google Vault. The next generation of girl coders will change the world. Check out Made with Code to inspire young girls to turn their dreams into reality with these role models,events and resources. Looking for an easy way to send, organize, track and grade assignments?Classroom is a new, free tool in Google Apps for Education that helps teachers stay organized and improve communication with students. Check out the winners of the Google Science Fair, including inspiring projects such as keeping the elderly safe, preventing cyber-bullying and helping the disabled communicate. Congratulations to the Grand Prize winners from Ireland! Don’t run out of time: Did you know that if you type “timer” into a Google search, you get a timer instantly? Update the time, go full screen, and voila! Show and tell: Make a class website or student digital portfolio in seconds — no coding required. Get started with this guide. Chrome Top 10: Going digital this year? Edudemic highlighted 10 free tools for the Chrome Browser ranging from class management with ClassDojo to video creation with GoAnimate. Calling all bookworms: Teaching Dracula? Romeo & Juliet? You’ll never have to hear “I left my book at home” again. Google Books lets students read and annotate digital books from any device. 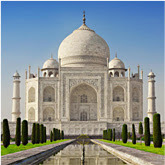 Take your students on a virtual field trip anywhere in the world, like theTaj Mahal in India. Discover works of art from more than 300 museums and private collections. 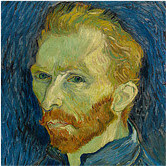 See every detail of Van Gogh’s famous Self Portrait. 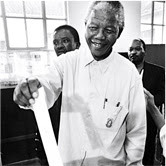 Explore the stories behind significant moments in human history like South Africa’s first post-apartheid elections. You deserve a break too. Try the Google A Day trivia question or challenge your students. Spell-up is a fun game to help students improve their English language skills. Students use the voice API tool to practice spelling and pronunciation. Challenge your students to set high scores. This entry was posted in Google Apps, Google Chrome Apps. Bookmark the permalink.